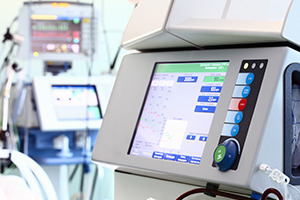 In Illinois, strict product liability applies to many cases involving injuries due to dangerously defective medical devices, drugs, and other items. Strict product liability is different from liability based on a theory of negligence in part because a manufacturer may be held strictly liable for the harm, even if it used reasonable care to develop, make, and sell a product. At Moll Law Group, our Chicago product liability lawyers advocate vigorously for the rights of injured consumers. Billions of dollars have been recovered in cases in which our attorneys were involved. To recover damages under a strict liability theory, you will need to prove that your injuries arose from a product defect, the defect was unreasonably dangerous, and the condition existed when the product left the manufacturer's control. Whether a product is defective and unreasonably dangerous is usually a factual issue for a jury, but a plaintiff can create an inference that the product was dangerous by showing there was no abnormal use of the product, there was no reasonable secondary cause of the injury, and the product failed to perform as expected in light of the manufacturer's intent. The jury will resolve conflicts in each side's evidence and consider the credibility of the parties as well as the experts whom they retain. A product can be defective in three ways. The product may have a manufacturing defect, a design defect, or a marketing defect. Manufacturing defects are usually the result of errors in the manufacturing process. Design defects are flaws in the design that make the product unreasonably dangerous. There are two tests that plaintiffs may use to show design defects: the consumer expectation test or the risk-utility test. A plaintiff must usually retain an expert to testify on a reasonable alternative design. Marketing defects are omissions or inaccuracies in the information that a manufacturer provides regarding the use of a product, which cause a consumer to be injured. These claims are also known as failure to warn, but in some cases, they involve a failure to provide appropriate instructions for a product. Generally, manufacturers are not required to warn consumers about risks that they neither knew nor should have known about at the time of manufacturing. However, this shield only goes so far. Manufacturers have a continuing duty to keep current on their products and potential dangers associated with using them. A manufacturer that receives reports of injuries from consumers is supposed to investigate and issue recalls as necessary. The Distributor's Act (735 ILCS 5/2-621) allows non-manufacturers that are not at the source of the chain of distribution to get dismissed from a lawsuit by filing an affidavit that correctly identifies a defective product's manufacturer. However, dismissal is not allowed if the plaintiff shows that the defendant who files the affidavit did have substantial control over the problematic aspects of design, manufacturing, instructions, or warnings regarding the product. If you have been hurt due to your use of a defective product, the Chicago personal injury attorneys at Moll Law Group are available to bring a claim to recover compensation. We also represent consumers in Naperville, Schaumburg, Wheaton, and communities throughout Cook County. Call us at 312-462-1700 or use our online form to set up a free consultation.